Uniquely, dietitians translate into practical guidance the most up-to-date public health and scientific research on food, health and disease, to help people make appropriate lifestyle and food choices. In the case of food allergy, specialist allergy trained Registered Dietitians (RDs) are the only qualified health professionals capable of assessing, diagnosing and treating food allergies at an individual and wider public health level. It is essential that you do not start excluding major food groups from your child’s diet without seeking individualised advice from a specialist paediatric dietitian. Whilst a list of first line information is provided, more detailed British Dietetic Association (BDA) diet sheets produced by the Food Allergy and Intolerance subgroup (FAISG) on a range of food exclusion diets and free from recipes should be available to you following consultation with a dietitian. 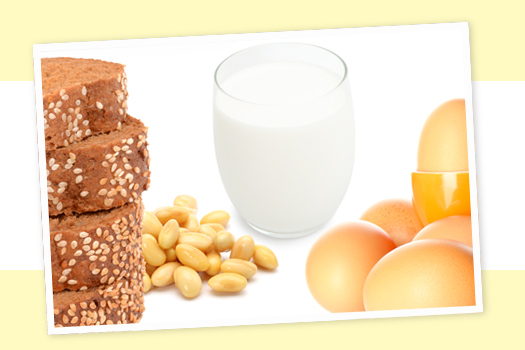 Once you have received a diagnosis of food allergy, you will need some practical supporting information to help you undertake the food exclusion diets effectively, while ensuring that your child continues to receive all the nutrients that they need. This page provides you with a range of downloadable dietary resources produced by FANS and links to downloadable expert peer-reviewed information on external websites. This information will be updated following review by the Scientific Advisory Committee on Nutrition (SACN) in light of the LEAP and EAT studies.